Sandra Dianne was born and raised in Syracuse, NY. Her love for performing began at the age of five when she declared she wanted to grow up to become a singing/dancing/pediatrician. While the pediatrician dream fell by the wayside, Sandra Dianne's interests in the arts intensified with dance classes, piano and voice lessons, and community theater performances. 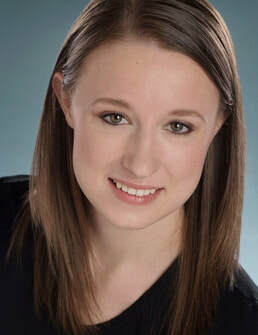 At the age of eighteen, Sandra Dianne made her way to Princeton, NJ to study music at Westminster Choir College, where she earned her Bachelor of Music in Music Education and Music Theater with a Voice Primary. While there, she sang at Carnegie Hall and Avery Fisher Hall in New York City, and at the Kimmel Center in Philadelphia with the Westminster Symphonic Choir. Once she completed her undergraduate education, Sandra Dianne ventured to the Big Apple for graduate school at the Actors Studio Drama School, where she earned her Master of Fine Arts in Acting. After spending a few years as a working actor, Sandra Dianne shifted her focus back towards the education side. As a teaching artist, Sandy teaches Music Together with Music Together in the City and Eastside Westside Music Together, and has taught pre-ballet to young children at Ballet Academy East. Sandra Dianne is a certified Music Teacher in the state of New Jersey, with a focus in Elementary General Music. Please send any inquiries to Sandra Dianne via the Contact page!